As a soloist and with her ensembles, Lori Pappajohn has performed in Canada, the United States, Chile, Britain, Ireland and Greece. Lori Pappajohn has also toured for Community Concerts, a division of Columbia Artists, New York. She was nominated BC Touring Artist of the Year by the BC Touring Council for her "artistic and performance excellence with Winter Harp." She is also the recipient of the Bernie Legge Cultural Award for her outstanding contribution to the arts in New Westminster as both an artist and a newspaper reporter. 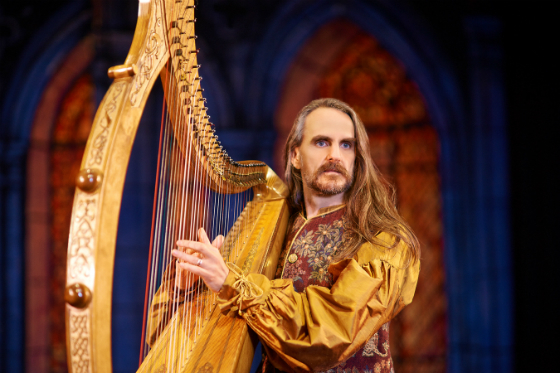 The Celtic harpist and singer has been featured at numerous events including the World Harp Congress, the International Jazz and Pop Harp Conference, the International Folk Harp Conference and with New York's Isadora Duncan Institute. A composer, arranger and an award-winning journalist, Lori Pappajohn and Winter Harp have 14 recordings. Winter Harp, now in its 25th year, has been showcased on television and radio. Lori Pappajohn is a faculty alumnist of B.C. 's International Celtic Harp School which features acclaimed harp teachers from around the world. Lauri Lyster is a versatile musician, equally at home playing classical, jazz or ethnic percussion and drum set. She is a percussionist with the Vancouver Opera Orchestra and has worked with jazz bands, chamber ensembles, dance groups and recorded for television and film. She has performed in jazz festivals and concerts in B.C., Europe and the US. Lauri Lyster also teaches group percussion and piano classes and workshops to the young -- and the young at heart. In 2012 Lauri Lyster wrote the one-woman play The Drummer Girl, a musical featuring her on drums and percussion, with a band and with comedic anecdotes about life as a female drummer. The show premiered to a sold-out crowd at the Firehall Arts Centre in 2012, and in February 2014, the Firehall had The Drummer Girl back for a 12-show run. Lauri Lyster recently returned from a 2 1/2 year stint living in Sydney, Australia. She and her husband Simon Stribling fostered a vibrant music scene in their suburb of Manly, playing in the jazz festival there and doing regular gigs at various pubs and venues as well as on a cruise ship. 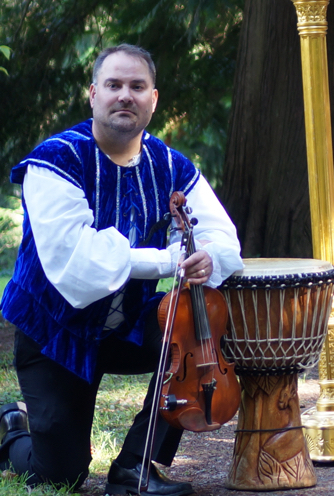 Jeff Pelletier has appeared in concerts and as a soloist throughout the US and Canada. In addition to being the founder and artistic director of the wind quintet Ventos, Jeff Pelletier is second flute/piccolo with the Kamloops Symphony and Plastic Acid Orchestra, flutist with the Erato Ensemble and performs regularly with his flute, clarinet and piano trio -- Trio Primario. 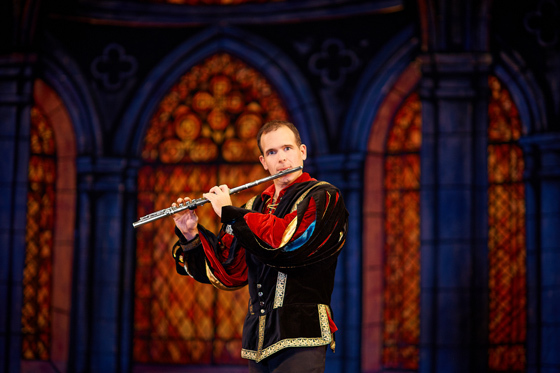 Jeff Pelletier is a Pearl Flute performing artist. He holds an Artist Diploma from the University of British Columbia where he studied with flutist Lorna McGhee. Singer Roger Helfrick is back this year by popular demand. In your lifetime you will hear only a few such outstanding voices. His is pure gold. 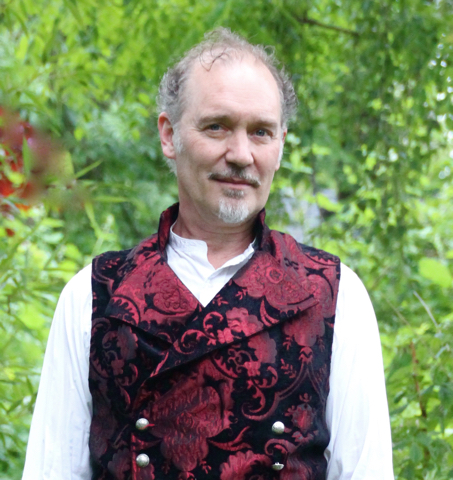 A multi-instrumentalist, Roger plays Celtic and medieval harp, plucked psaltery, and guitar. He has released four CDs (the most recent Willow with special guest Jeff Pelletier), performed across Canada, the U.S. and Japan as a solo artist, and has been a guest performer with classical and folk ensembles in Alberta and B.C. In addition Roger has been a member of the St. Francis Xavier Chamber Choir, Calgary Renaissance Singers and Players, and the Calgary Opera Chorus. Said Sean Buckley of the Celtic Folk Club in Calgary: "His voice would charm a lark right out of the sky." Adam Henderson's acting career spans 40 years, two continents and numerous countries. Originally from New York, then Winnipeg, Adam Henderson trained at the Bristol Old Vic Theatre School in Britain. For 20 years he appeared on stages in London's West End, at Britain's Royal National Theatre, and in theatres across Europe. In Vancouver since 2000, Adam Henderson has appeared in numerous stage, TV, and film productions. He is dialect coach on shows like "Tommorowland", "Arrow", and "Ghost Wars" and also a theatre director. Adam Henderson has recorded many BBC and CBC radio dramas, audiobooks, cartoons, and commercials. He teaches at Vancouver Film School and at UBC. 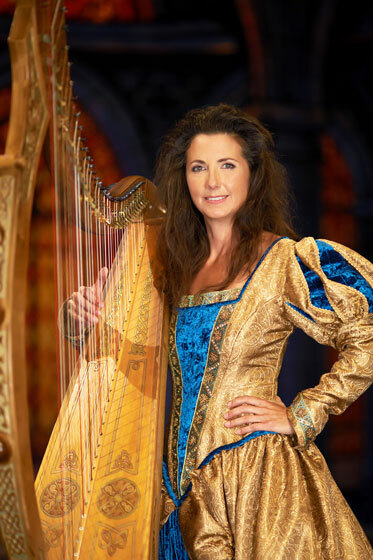 Lani Krantz is principal harpist with the Vancouver Island Symphony and the Willingdon Church Orchestra. 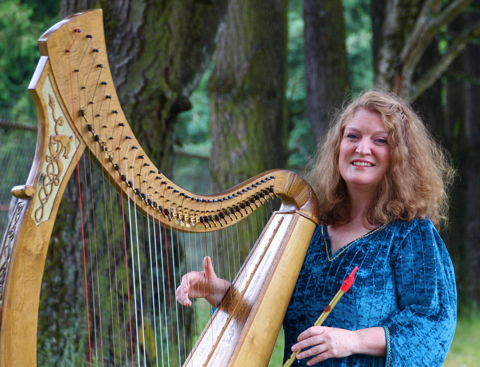 She plays second harp with the Vancouver Symphony Orchestra, subs as principal harp and is an instructor at the Vancouver Symphony Orchestra School of Music. As a freelance musician, Lani Krantz works with numerous orchestras across BC, such as the Victoria Symphony and the Vancouver Film Orchestra. She also works with choirs, chamber groups and touring artists. 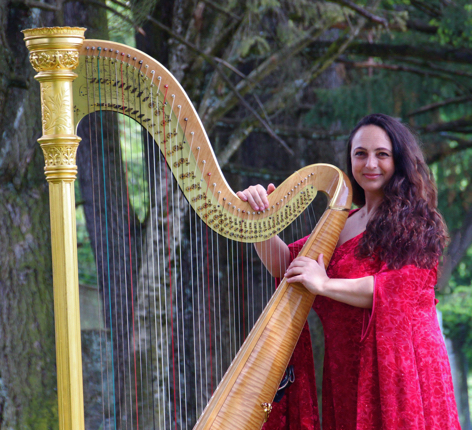 Lani Krantz has completed six years of post-secondary studies in harp performance, with instructor Elizabeth Volpe. Lani Krantz also studied at the Aspen Music School and toured as principal harp with the National Youth Orchestra of Canada. Lani Krantz studied voice with Sung Ha Shin-Bouey and with the UBC Collegium Musicum early music vocal ensemble. Bruce Henczel received his Master of Music in Percussion Performance from the University of B.C., and while there won the Concerto Competition. He has released two solo recordings, the first of which was given "a very strong four-out-of-five stars" by Rick Philips for CBC Radio 2. He has appeared on CBC Radio numerous times as a soloist and chamber artist. Bruce Henczel was the concerto soloist with the Okanagan Symphony Orchestra, West Coast Symphony, the Vancouver Philharmonic, and the Kwantlen University Wind Symphony and Chorus, performing his own compositions -- Concerto #1 and #2. He was chosen to represent Canada with an original composition for the 2016 International Handbell Symposium. Bruce Henczel performs regularly with the Vancouver Chinese Music Ensemble, and has performed with Plastic Acid and Symphony of the West. Bruce Henczel is currently the drum set, percussion, and string instructor at Summit Pacific College. His print music is distributed internationally by Honeyrock Publishing and Steve Weiss Music. In spring 2017, Bruce Henczel travelled to Kenya to teach music at the Imani Home of Love Orphanage.